Owing to the serious overcapacity of coal and the continuous and huge decline in coal price, the coal-dominated economic structure has dragged Shanxi’s economy into valleys. To solve the problem of overcapacity, Shanxi Province planned to reduce its coal capacity by at least 100 million tonnes in the next five years. According to the Opinions on the Structural Reform of the Supply Front of Coal (hereinafter referred to as the Opinions) released on 25th April, Shanxi Province would reduce overcapacity in the industry in order, by the means of eliminating inefficient capacity, pushing forward reorganization, replacing inefficient production facilities, reducing capacities and putting off the coal mining. As industry players indicate, the quantity of capacity reduced has exceeded expectation of the industry. According to the Coal Industry Department of Shanxi Province, up to 31st March, there were 562 coal mines in production in Shanxi Province, with a total production capacity of 909 million tonnes. After 276 working days' re-check on those coal mines, the total production capacity was reduced to 764 million tonnes. The reduced capacity accounts for 11% of the previous total. The release of the Opinions would effectively promote the implementation of the supply-front policy of Shanxi Province, and the scale of the capacity reduction, reform on the state-owned enterprises and improvement of the pricing mechanism involved would all exceed expectation. To strictly control coal resources and approval of coal producing projects, according to the Opinions, during the 13th Five Years Plan period, Shanxi Province would not newly deploy coal resources in principle. In addition, Shanxi Province would approve neither any new projects of the coal mine constructing, nor the technological transformation projects of the newly-built or the examination projects that aimed to improve the capacity, in order to reduce rather than improving on the overall coal capacity all across Shanxi Province. Since 2016, Shanxi Province has suspended the sell of mining right and exploration right of coal mines. According Southern Weekly, the seven state-owned coal groups, with a debt ratio of 80% of the gross assets, were in debt of more than trillion yuan, which is equal to the GDP of Shanxi Province of 2015. The regulation department of Shanxi Province would also crack down and punish those coal mines that were built or operated illegally. The General Office of Shanxi Province asked all the coal mines that subjected to the major five coal groups to shut down for overhaul for at least one month. The Office also disclosed and shut down 16 coal mines that have not fulfilled the examination and approval procedure yet. 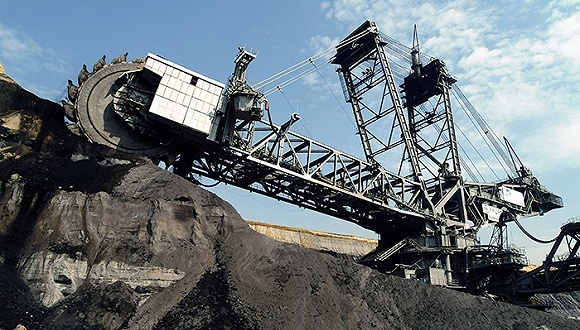 In terms of the reform of coal enterprises, the state-owned coal enterprises of Shanxi Province would improve the corporate governance system and at the same time push forward the experimental company for capital investment (operation). Datong Coal Mine Group Co. and the Jinneng Group would be the experimental pilot of the reform. What has been mentioned explicitly is to promote the pilot project for reforming collectively by the means of joint investment, cooperation, sale and ESOP, and thus to make the state-owned coal enterprises a market-oriented and self-sustaining legal entity with clearly-established ownership. At the same time, the enterprises, who can’t carry out restructuring and reform, or cannot afford long-term suspension, or suffer the insolvency, or can’t pay off their debt due would shut down or go bankrupt. According to insiders, the reform of the coal enterprises would sow the seeds of integrating the coal resource and reorganizing the coal enterprises of Shanxi Province in the future. It is believed that the launching of various measures put forward by the Opinions would significantly improves the efficiency of the reform in Shanxi Province. The problem of oversupply would be properly solved and the coal price has begun to rebound. *This article is an edited and translated version by CCM. The original article comes from Jiemian.com.